Sol. 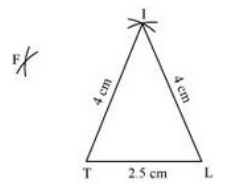 Step 1: Construct ΔITL using SSS criterion. 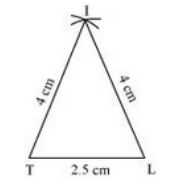 Step 2: Keep L as centre and draw an arc of radius 4.5 cm on the opposite side of point L. Draw an another arc of radius 3 cm keeping I as centre, such that it intersects the previously drawn arc. 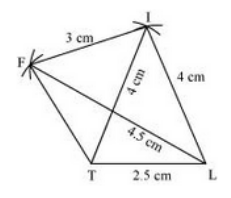 Let the point of intersection be F.
Step 3: To complete the parallelogram LIFT, join I and T to F.
Sol. 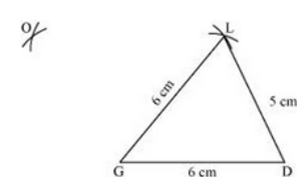 Step 1: Construct ΔGLD using SSS criterion. 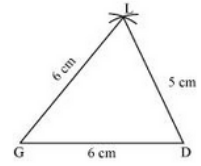 Step 2: Keep D as centre and draw an arc of radius 10 cm on the opposite side of point D. Draw another arc of radius 7.5 cm keeping L as centre, such that it intersects the previously drawn arc. 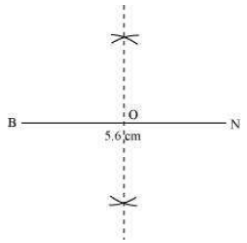 Let the point of intersection be O. 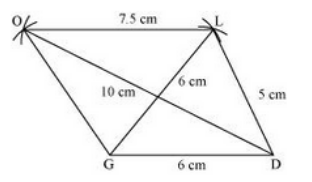 Step 3: To complete the parallelogram GOLD, join G and L to O.
Sol. Step 1: Draw a line segment BN of length 6.5 cm. 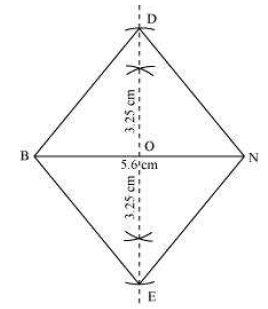 Now, draw perpendicular bisectors of BN with the intersection point as O. 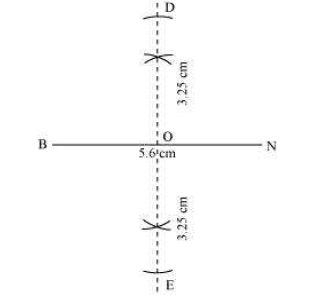 Step 2: Take O as center and draw arcs of length 3.25 cm which intersects the perpendicular bisector at point D and E.
Step 3: To complete the rhombus BEND, join D to B and E to N.